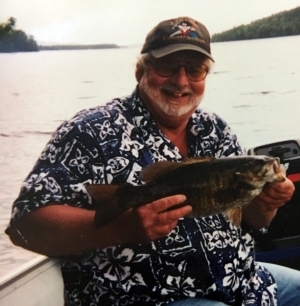 Connell, Dow & Deysenroth, Inc.Funeral Home: David Carl Lincoln, Sr.
ONEONTA - David Carl Lincoln, Sr., 71, of Oneonta, passed away peacefully with family by his side Saturday morning, November 25, 2017, at Focus Rehabilitation and Nursing Center at Otsego. He was born May 7, 1946, in Ithaca, a son of Carl and Evelyn (Millspaugh) Lincoln. After graduating from Interlaken High School he attended Empire State College where he earned a bachelor's degree in psychology. For many years he was employed in Schoharie, Seneca, Steuben and Otsego Counties as an officer with the New York State Department of Environmental Conservation. David is survived by his beloved wife of 49 years, Evelina Fuller Lincoln; brother, John Lincoln (Ginny); sons, David (Laura), Chris, John and Mike (Victoria); grandchildren, Megan, Cassandra, Xanthian, Quinten, Tristen, Chris, Jeffery, Carter, Sadie, Emily, John Henry, Magnolia and Cooper; nieces and nephews, Matt (Brenda), Casey (Tina), and Carrie Wood (Jim); great nieces and nephews, Cody, Hunter, Zoey, Cameron, Jack, Rachel, Wyatt, Tanner and Lincoln. A Celebration of Life will be held on Saturday, December 9, 2017, at SUNY Oneonta's Morris Conference Center beginning at 1 p.m., with a reception to follow. In lieu of flowers, please send donations to the NHT Camps, c/o Director of Management and Budget Services, NYSDEC, 625 Broadway, Albany, NY 12233-5010. Please write DEC Camps in memory of David Lincoln in the memo section of your check. The Connell, Dow & Deysenroth Funeral Home in Cooperstown is assisting the Lincoln family.